Update: We've heard that end of the month is more likely now. Uruguay's House of Representatives passed a marijuana legalization bill, we reported last summer , with the Senate vote expected to be easier due to the wider majority held there by President Mujica's governing party. The Senate vote has been predicted to be around the middle of November, which means it could happen any day now. Stay tuned. An article about it on infobae  (in Spanish), the most recent news article I've seen about the imminent vote, has some disappointing quotes from Mexican and Brazilian officials about it. But perhaps these governments are just covering their backs in the diplomatic fray. Brazil's former president, Fernando Enrique Cardoso, is an outspoken advocate  on this issue, and recently joined the International Conference on Drug Policy Reform  via Skype as part of acceptance remarks for an award given on the last night of the event to the Global Commission on Drug Policy. 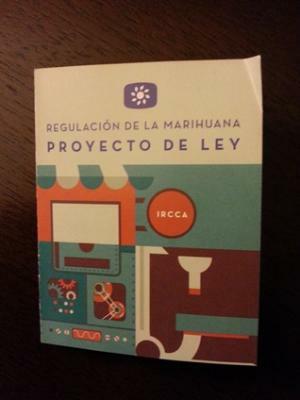 The Uruguay legislation, assuming it goes the right way as expected, will directly challenge the international drug treaties -- more so even than Washington and Colorado, because we still have federal law in force in those states, despite the changes to the state laws. It opens up the possibility for interesting new dynamics as the 2016 UN General Assembly Special Session on Drugs approaches, and the 2014 preparatory drug session.